Houseplants give our home a clean and fresh feel, not to mention that they also pump our spaces with oxygen! But if you don’t have a green thumb, or a lot of time to care for plants, these 5 easy to grow houseplants may be just what you need! These 5 easy to grow houseplants are SO resilient, that they survived in a dark closet for 3 weeks! If that’s not easy maintenance, I don’t know what is! This contemporary looking tropical plant will add an air of sophistication and simplicity to your home. A slow growing plant, the ponytail palm is perfect for tabletops, requires medium light, and can survive for long periods of time without water! 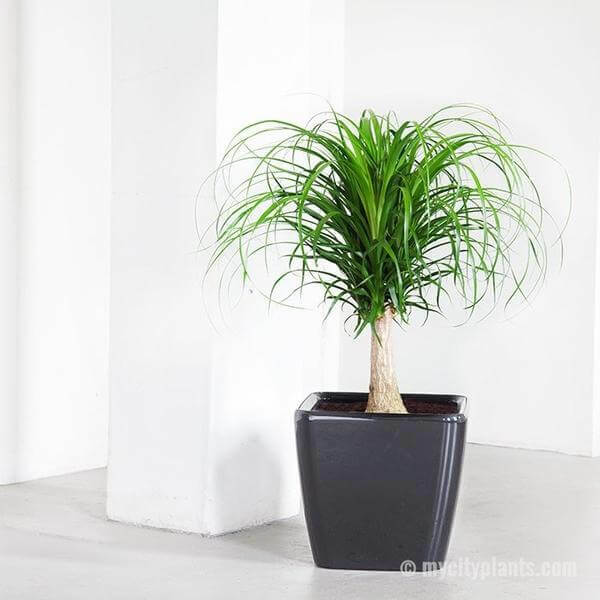 This rich plant has dark green leaves on top and a short stem, making it a beautiful centerpiece palm! 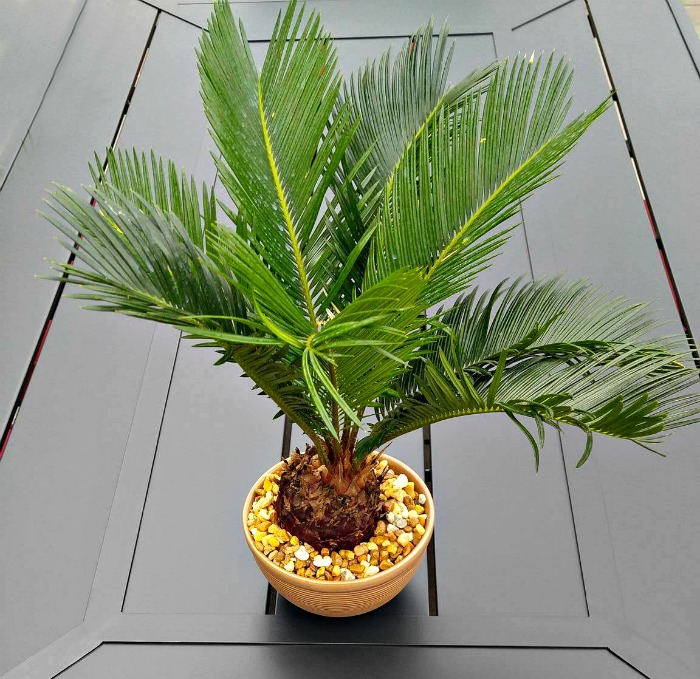 The Sago Palm doesn’t tolerate wet soil, so only water when the soil is completely dry. Will thrive in high to low light! This dark and glossy plant is so perfect looking, that a lot of people mistake it for a plastic plant! 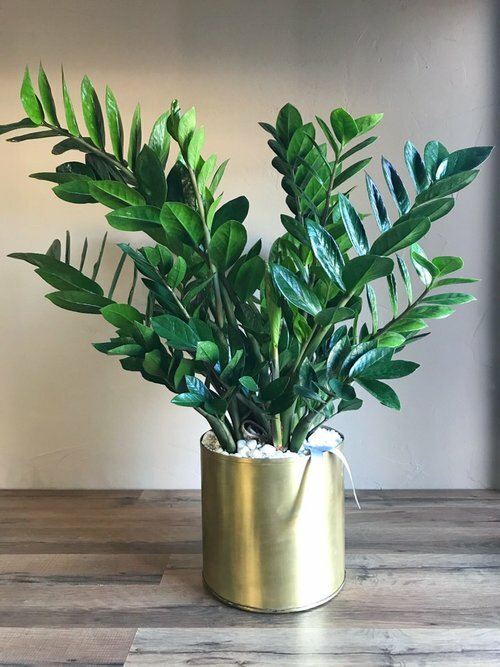 Because its leaves seal in moisture, the ZZ plant doesn’t require a lot of water, making it perfect for those who may forget to water their plants! Grow in bright to low light, and only water when soil is completely dry. Bonus: the ZZ plant will thrive in artificial light as well, so no need to place it near a window! 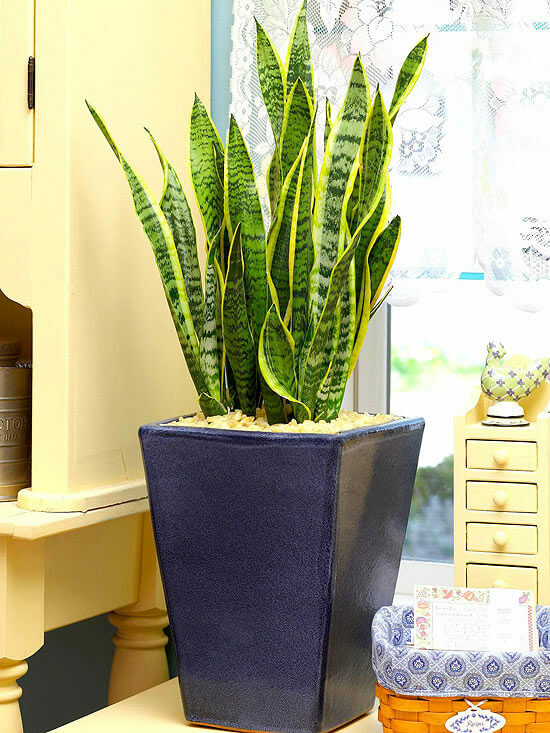 The modern looking snake plant has become a house favorite due to its bold, upright leaves. The snake plant will grow in almost any kind of light, and doesn’t require much water at all. Only water when the top 1 inch of soil is completely dry! These stunning plants have taken over the houseplant world due to their beautiful colors! 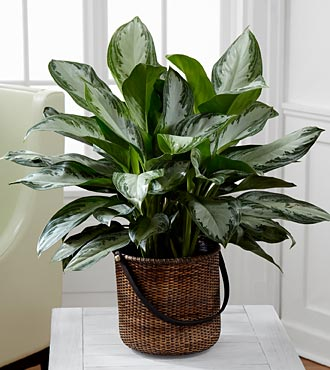 Perfect for offices or dark spaces as the Chinese Evergreen plant doesn’t require natural light and will do just fine under artificial light. Water only when the top 1 inch of soil is completely dry. 5 Easy to Grow Houseplants was last modified: April 10th, 2019 by Aniela M.
PreviousWhat is the Difference Between Grape Tomatoes and Cherry Tomatoes?